Just Jeeps Smittybilt Heavy Duty Air Compressor Portable & Produces 5.65CFM | Jeep Parts Store in Toronto, Canada. 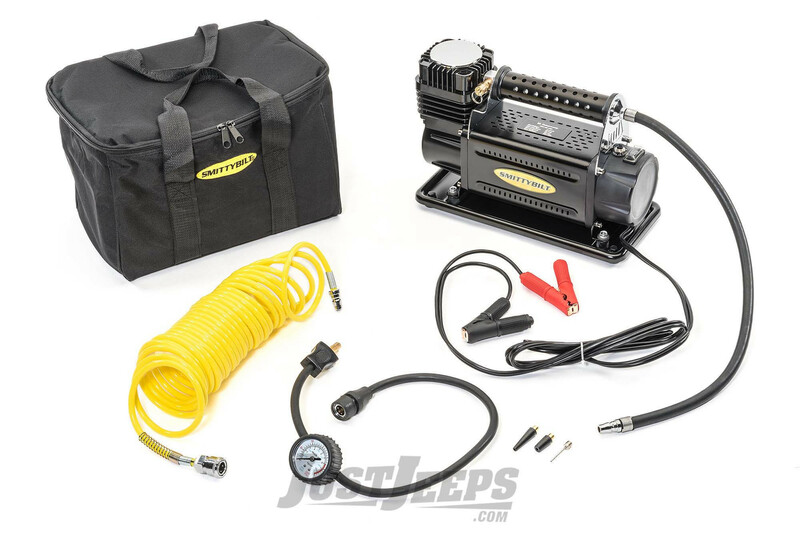 The Smittybilt Air Compressor is ideal for off road vehicles with 35in or larger tires. It can inflate 50% faster than most compressors, obtaining its power directly from the car battery using the alligatore clips provided.